It is a common myth that Australia’s outback is restricted to inland of the mainland, but if you look a little further beyond the shoreline you will find a outback oasis paradise. 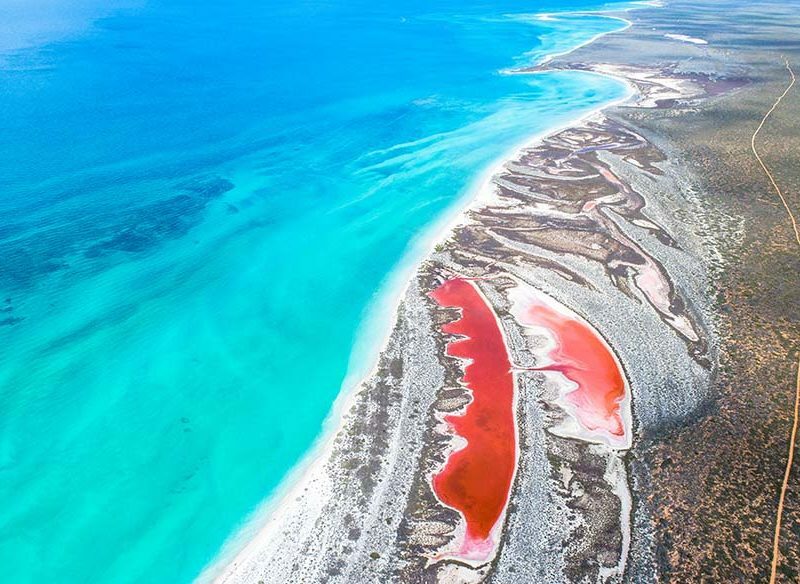 It’s Western Australia’s largest island and a remote nirvana steeped in history and rich with wildlife. Dirk Hartog Island forms the western boundary of the Shark Bay World Heritage area and boasts stunning landscapes, unique wildlife and extraordinary marine experiences. Its 1616 discovery by Captain Dirk Hartog also happened to put Australia on the world map. Many explorers followed the Dutch skipper, including Willem de Vlamingh in 1697, William Dampier in 1699 and Louis de Freycinet in 1818. Today, though, exploration is the role of tourists who can discover the island and stay in the rustic luxury Eco-Lodge located only 30m from the calm waters of Shark Bay. Experience the flavours of locally caught seafood; take a guided coastal walk discovering secluded beaches and giant sand drifts, whilst humpback whales follow your every step. Join a marine safari to view dugong, dolphins, sharks and turtles. This island has a peacefulness about it, with a powerful energy connecting people to place. Escape to the Mackerel Islands for a holiday full of adventure and relaxation, just a two-hour flight north of Perth, or a 1400-kilometre drive on an epic coastal road trip. A collection of 10 islands and atolls scattered off the coast of Onslow in Western Australia, the Mackerel Islands welcome guests to two of these – Thevenard Island and Direction Island – with accommodation, facilities, activities and tours all available. Stay in a choice of beachfront cabins with stunning ocean views, or for the ultimate wilderness escape, rent your own island with a sole beach shack. Spot sea turtles, whales and dolphins, snorkel among colourful fish, jump on a kayak or SUP board, hire a boat and cruise around the bay, stargaze in awe while soaking up the quietness, or join the skipper on one of the sensational fishing charters. This is the amazing, off-the-beaten-track experience you’ve been looking for.